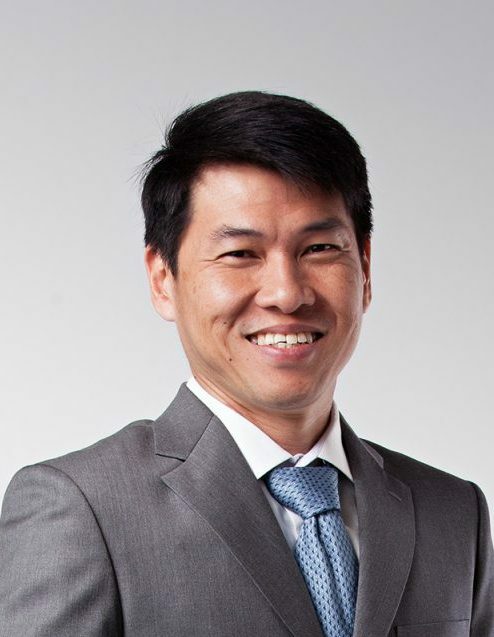 Dr Lim Kay Kiat is an Orthopaedic surgeon with a subspecialty in Foot and Ankle surgery. He has an interest in running and cycling injuries. Dr Lim obtained his medical degree from the National University of Singapore in 1996. He went on to pursue postgraduate training in Surgery and was admitted as a Member of the Royal of College of Surgeons of Edinburgh in 2001. The following year, he obtained a Masters of Medicine in Orthopaedic Surgery from the National University of Singapore and became a Fellow of the Royal College of Surgeons of Edinburgh in Orthopaedic Surgery in 2005. Being awarded a training grant from the SingHealth Talent Development Fund, Dr Lim was a Foot and Ankle fellow in the University of Toronto and underwent subspecialty training at St. Michael’s Hospital in Toronto, Canada between 2006 and 2007. Dr Lim has been practicing as a Consultant Orthopaedic Surgeon in Changi General Hospital and has also been the Director of the Foot and Ankle Service there. He performed the first total ankle replacement in Changi General Hospital and has been instrumental in pioneering the use of maggot debridement therapy in the treatment of diabetic foot ulcers there. As a surgeon also running a practice in the Changi Sports Medicine Centre, Dr Lim counts amongst his many patients, several S-League and National soccer players, junior and development team athletes as well as dancers with lower extremity injuries. He has a research interest in foot and ankle disorders and gait and has received several research grants and been published in major Orthopaedic scientific journals. In addition, Dr Lim has been involved in multi-centre international medical trials as the Singapore principle investigator. Dr Lim holds a teaching appointment from the Yong Loo Lin School of Medicine, National University of Singapore for training undergraduate medical students. He is also involved in the training of specialist Orthopaedic surgeons, acting as mentor and supervisor for surgeons in-training. He has been teaching faculty for the National University of Singapore Postgraduate Course in Orthopaedic Surgery over the past few years. This is a course targeted at local and international trainee Orthopaedic surgeons. Outside of Orthopaedic surgery, Dr Lim has been an instructor for the Advanced Trauma Life Support course since 2004 and has acted as advisor/mentor for biomechanics students from the Faculty of Engineering, National University of Singapore. Outside of his work, Dr Lim is a keen endurance athlete. He is a multiple-time finisher of Ironman 70.3 Triathlons and marathoner. With this background, he has a personal interest in running and cycling injuries. Beyond rehabilitative, medical and surgical treatment of cycling injuries, he also focuses on bike fit strategies to prevent and treat overuse cycling injuries. Dr Lim has been involved in the medical team covering the Singapore Grand Prix since the inaugural event in 2008. In 2009, he was the Deputy Chief Medical Officer for the track medical service, responsible for trackside safety and medical intervention for racing accidents.